Mario Tama/Getty ImagesJamie Dimon, the chief executive of JPMorgan Chase, in New York City in May. JPMorgan Chase, which emerged from the financial crisis as the nation’s biggest bank, disclosed on Thursday that it had lost more than $2 billion in trading, a surprising stumble that promises to escalate the debate over whether regulations need to rein in trading by banks. 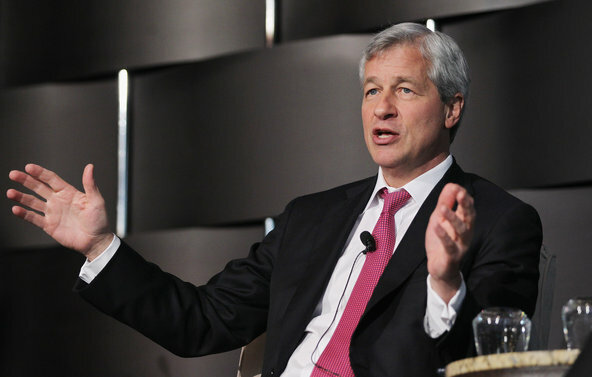 Jamie Dimon, the chief executive of JPMorgan, blamed “errors, sloppiness and bad judgment” for the loss, which stemmed from a hedging strategy that backfired. The trading in that hedge roiled markets a month ago, when rumors started circulating of a JPMorgan trader in London whose bets were so big that he was nicknamed “the London Whale” and “Voldemort,” after the Harry Potter villain. Posted on May 10, 2012, in #financing and tagged business, Chase, financial news, financing, JPMorgan, jpmorgan chase, loss, mario tama, occupy-wall-street, politics, sotck reporting. Bookmark the permalink. Leave a comment.